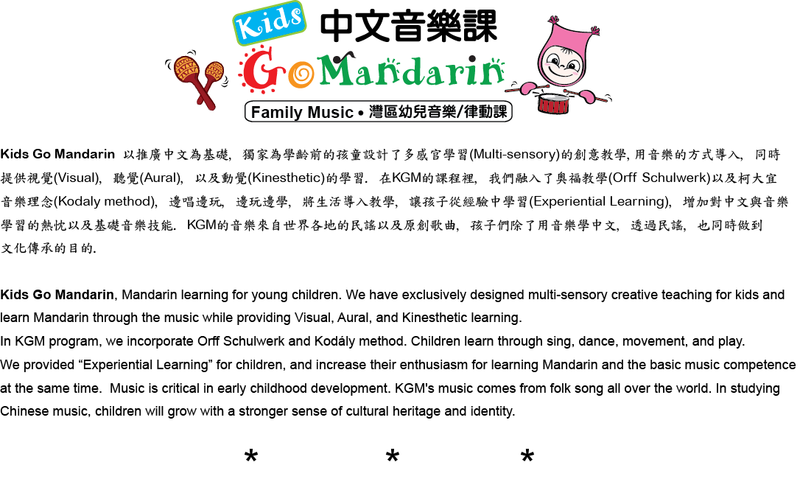 Kids Go Mandarin is a 100% Mandarin immersion program for children 0-6 years old to learn Mandarin through music. Mixed Ages from 0 to 6 years old. 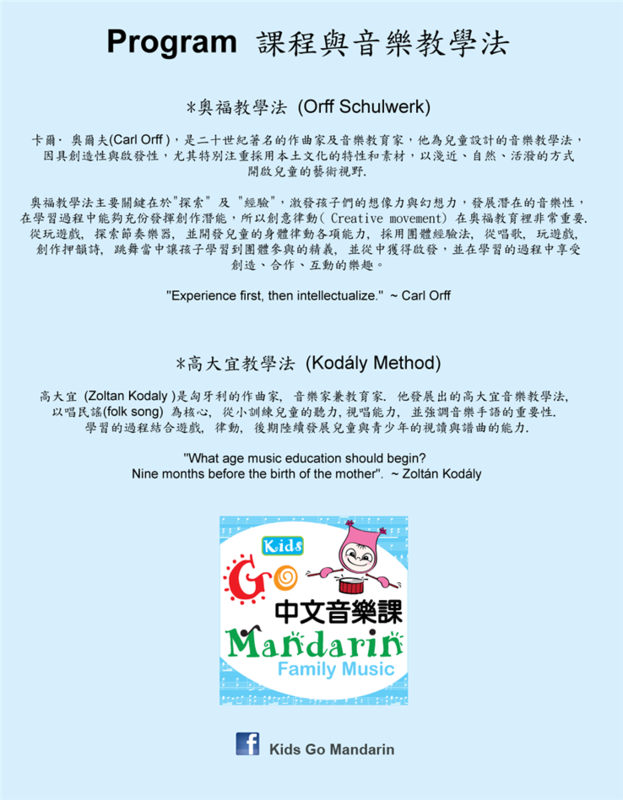 Each class duration 45 minutes.